Marketing displays can take up a lot of space. Some options offer a lot of surface area but no good storage solutions. 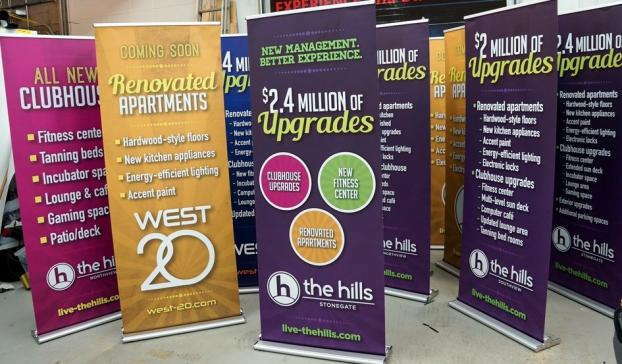 That will all change with custom retractable banner stands, as you can display vibrant graphics and artwork in large dimensions without the hassle of trying to store the product. You can convert these handy stands into compact units when they’re not in use, which makes them convenient for traveling and long-term storage. 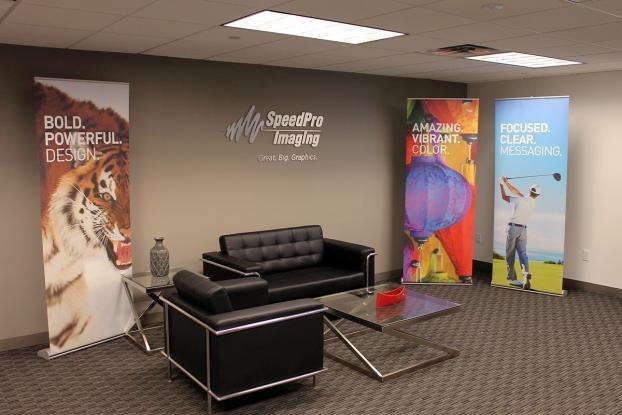 As a partner of the nation’s biggest large-format graphics provider, SpeedPro Imaging Westwood utilizes top-tier resources and tools to serve clients throughout Bergen County. We’re here to help as soon as you’re ready. Due to how convenient and portable these retractable stands are, you’ll often see businesses employ them as part of their trade show and point of purchase displays. They’re excellent tools for capturing the attention of attendees walking around expos, festivals and other large-scale events. When you’re located close to New York City, gathering all the attention you can is essential. 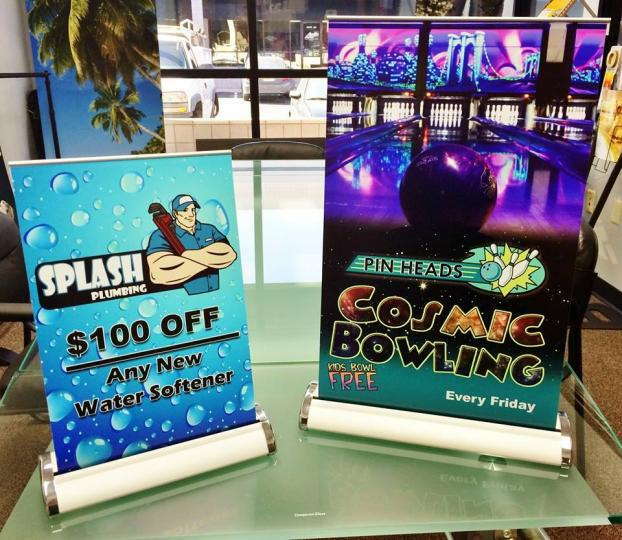 That’s just scratching the surface of their potential, as durable retractable banners can find homes at car dealerships, malls, retailers, sports complexes, museums and countless other locations. Use them as promotional tools once or twice a year, or advertise a game day or upcoming exhibit. You’ll receive not only well-made stands but also eye-catching banners. With durable materials and long-life inks, they’ll last just as long as their casing. We’ve spent nearly a decade serving the local community, and we use the unique insights that we’ve gathered over the years to push the envelope on assorted visual communications. Of course, we can’t use our knowledge to help without discussing your project first. We’ll host you for a consultation to understand exactly what you want. We invite you to bring your requests to the table, as we don’t believe in saying no. 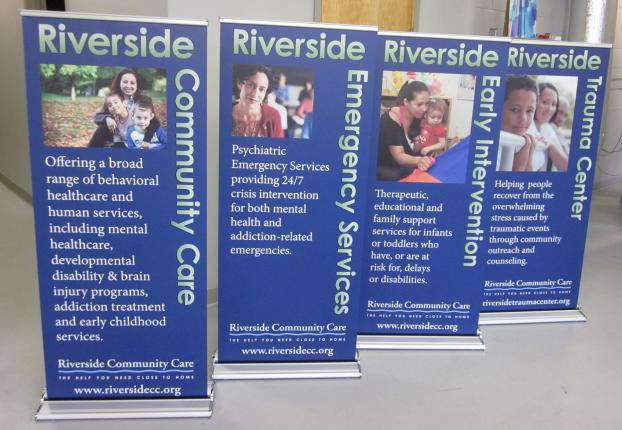 With a range of styles, mechanisms and sizes, these convenient banners can help you achieve just about any marketing goal. You can choose from three styles: retractable, telescopic and spring-back. We also offer three kinds of models — economy, premium and standard. The differences come down to more than just looks, as each iteration provides its own set of strengths. If you need temporary and cost-efficient materials, economy models are the solution for you. If you’re a road junkie who drives all over the place, you’ll be happy to know that premium models are tailor-made for frequent conversions and heavy travel. The common aspects among all options are portability and ease of use. Give us a call today to arrange your initial consultation. You can also visit our studio, which is located on Bergenline Avenue, near Pascack Brook County Park.